If you are looking for a cost effective way to brighten a dark den or living room, a fireplace make over might just be the thing. We offer several different colors and finishes to achieve your desired look. Brick, Natural stone and cast stone are wonderful building materials, but over time they become coated with dirt and grime,which can take away from the architectural appeal. 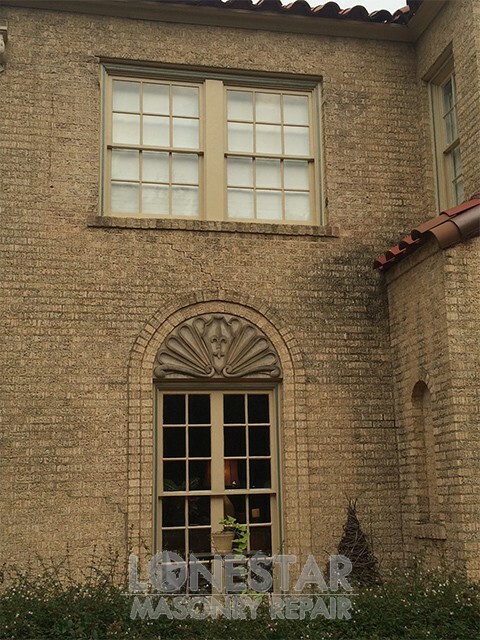 Lonestar Masonry Repair uses a customized restoration wash solution for your home and masonry accents. This is a great way to brighten up your homes appearance and increase curb appeal. The Slurry Coat is a thick mortar wash. This process provides complete coverage of the masonry surface and is a good alternative to traditional stucco. This is a highly texturized finish. Where can these masonry finishes be applied? German Smear is a mortar and sand wash that can be applied in several different thicknesses to achieve the desired look. We can do a total brick coverage or leave some brick exposed. You will have total control over the look you want. 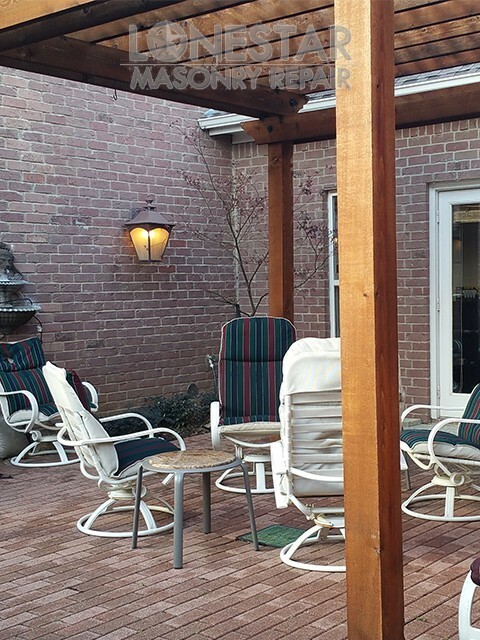 By exposing some of the brick we are able to soften the look of the home while adding depth and warmth to it. 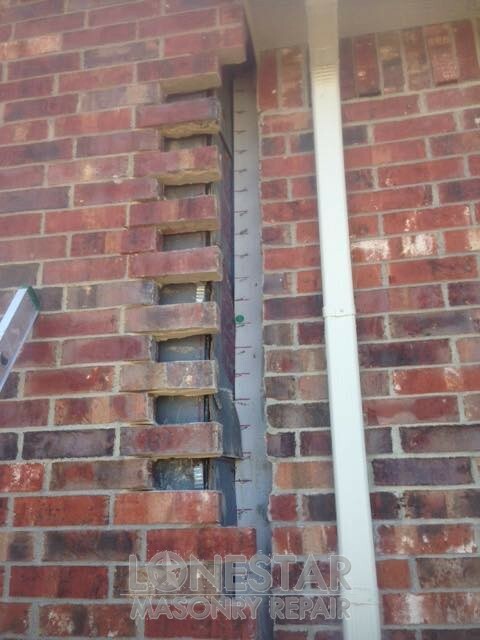 Problems with masonry veneer often go undetected until a sudden failure occurs. The natural deterioration of a structure due to time related effects of climatic and environmental conditions, as well as the adverse effects of water infiltration are key contributors to these types of failures. There are many causes of masonry degradation. 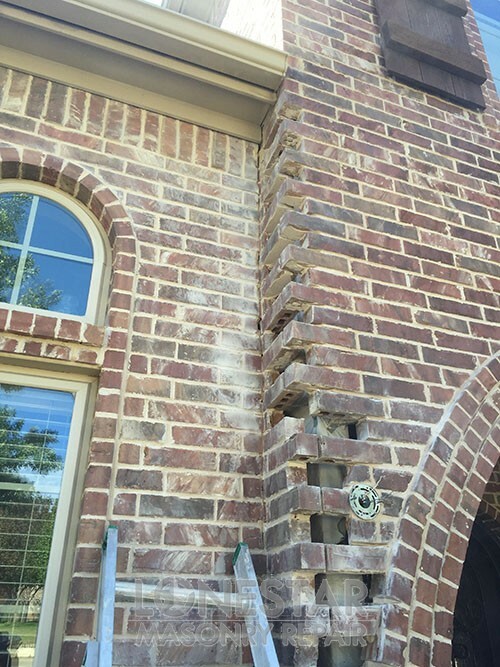 Lonestar Masonry Repair has the expertise and technology to address your concerns, determine the source of the damage and remediate the deterioration of virtually any architectural surface. The best time to repair your fireplace is when it is not being used on a regular basis. This allows repairs to have their proper curing time and ensures a strong repair. 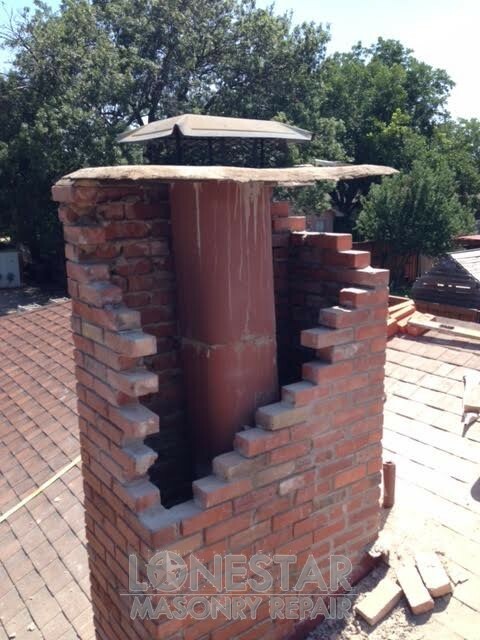 When we inspect for fireplace repairs we look at the firebox, mortar cap, and the exterior stack of the fireplace. We thoroughly clean out your firebox and chisel out cracks. Then we go in with a fire resistant mortar and tool for finishing. 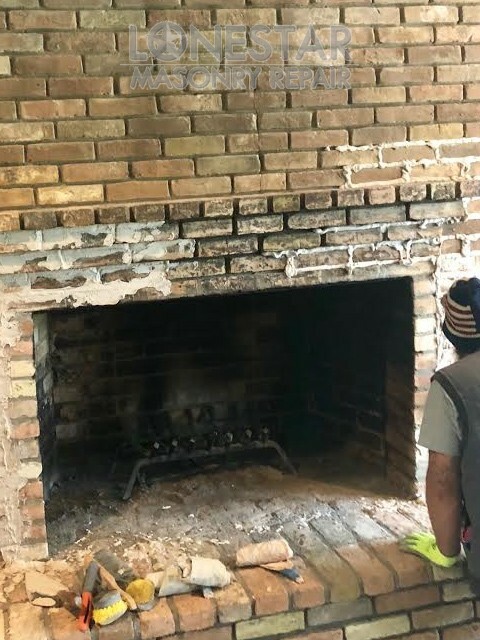 There is a mortar cap on the top of your masonry fireplace. We resurface the entire mortar cap eliminating any cracks. 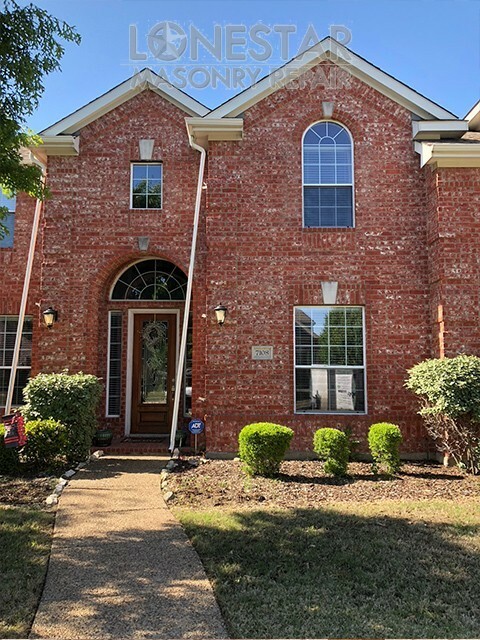 Brick or stone arches can add significant curb-appeal to your home. It is not uncommon with our soil conditions in Texas to see settling on the archways and columns. If the archways begin to develop cracks, have loose brick or cast stone they need to be addressed. At this point they are no longer just aesthetically unpleasing, but have now become a safety concern.